This was a gift for my sister, who frequently walks her dog before dawn and after dark. 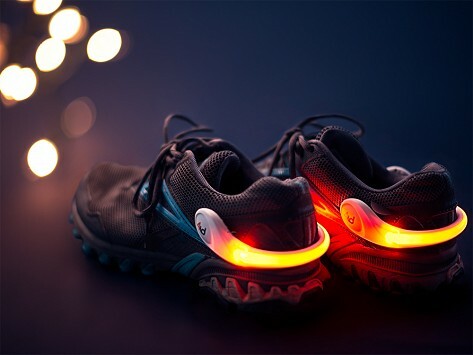 A must have for night time running! I live in the Desert and it gets very dark at night. We don't have streetlights so people can watch the stars. I don't know how many times I've not seen people walking in the road till the last minute. Luckily I drive slow I don't think people realize how hard it is to see them and a lot wear dark clothing. Wish everyone had a pair of these. Best walking aid I've had! Not only do I wear these on my heels, I have a pair that I also wear on my wrists. Very comfortable, and all the neighbors can see me walking after night, from their homes, and so I know that I am visible to cars. Highly recommend this product. My brother in law is an avid runner and found these very helpful when he runs early in the morning. 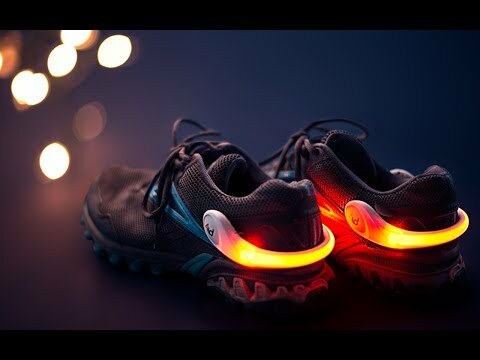 My husband uses these when he walks our dog at night and I feel much better knowing they can be seen. I like them for the winter months. They work well and are easy to put on. We walk in the dark in the mornings, and my friend and I each have a pair on and have been most pleased with how visible they are! We have received many compliments from other early morning enthusiasts! Everyone says how visible we are! I will wear them with pride knowing I am supporting a great business who stands behind their products. Night owls and 4id Founders, Ron Biron and Rodger Bailey, strive to keep active people safe with their light bands. They’re a great addition to regular exercise gear and slip on easily with no extra bulk. Wrap them around the heel of your sneaker or bicep, or attach a light-up leash to your canine companion to increase your visibility. The ultra-bright LEDs last for hours, and you can set them to glow continuously or flash. And each light is weatherproof, so you’ll have an extra measure of safety in any conditions.